Photo: David Lowe House, ca. 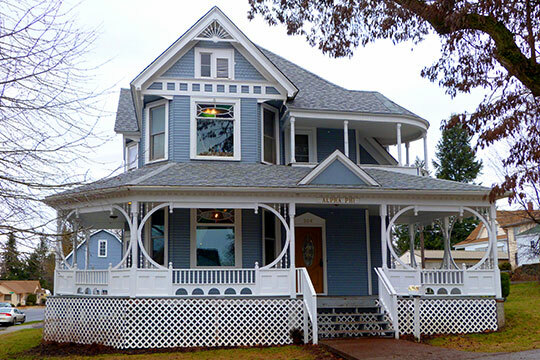 1904, 306 F Street, Cheney, WA. Listed on the National Register of Historic Places in 1983. Photographed by User:Ian Poellet (own work), 2014, [cc-by-4.0 (creativecommons.org/licenses/by-sa/4.0/deed.en)], via Wikimedia Commons, accessed August, 2015. Spokane County administrative offices are located at 1116 West Broadway Avenue, Spokane, WA 99260; phone: 509-477-2211. Established in 1858, Spokane was annexed by Stevens County in 1864. It was re-established as its own county in 1879. It is named for the Spokane tribe of Native Americans.